CITIC Telecom International CPC Limited ("CITIC Telecom CPC"), a wholly owned subsidiary of CITIC Telecom International Holdings Limited (sehk:1883), serves multinational enterprises the world over by addressing their specific ICT requirements with highly scalable tailored solutions built upon the company's flagship technology suites, comprising TrueCONNECT™ private network solutions, TrustCSI™ information security solutions, DataHOUSE™ global unified cloud data center solutions, and SmartCLOUD™ cloud computing solutions. 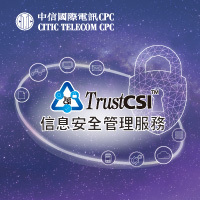 CITIC Telecom CPC TrustCSI™ Managed Security Services, complementing multiple Security Operations Centers (SOCs) with high availability and disaster recovery functionality, are designed to help you handle these increasing IT security demands effectively. Based on ISO27001 certified processes, we provide robust 24 x 7 monitoring and help businesses identify and analyze vulnerabilities, prioritize threats as well as refine security policies and processes. 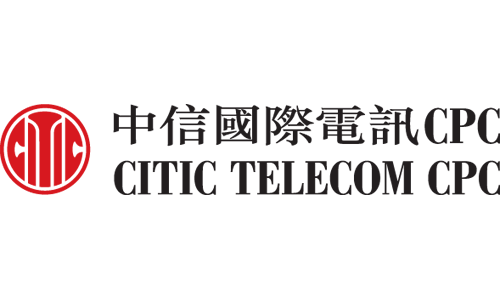 TrustCSI™ Secure AI brings a new approach to enterprise cyber defense, inspired by self-learning biological immune systems. By assuming organizations face a constant level of threat from within, TrustCSI™ Secure AI actively investigates all anomalous activities and identifies threats using the behavioural approach and advanced machine learning algorithms to quickly hone in the root cause and severity of the anomaly detected, formulate findings into actionable insight and predict whether any anomalous network behaviour is significant enough to cause alarm. With TrustCSI™ Secure AI, our cyber security analysts can detect real time anomalies within the organizations network, including previously unknown “zero-day” attacks and, provide visibility of emerging threats at various stages during the attack life-cycle. They shorten the time it takes for customers to contain threat and limit the extremity and cost of an attack when it occurs.